Richmond RiversideHam Street Riverside, Richmond, TW10 7RS. Love Running! Get all your friends and come and join us for our Richmond Autumn Riverside 10k Run 2019. A stunning flat and fast 10k run. The location is amazing and the scenery is stunning. Running along the riverside from Richmond towards Kingston and back you have views of the river for most of the way. 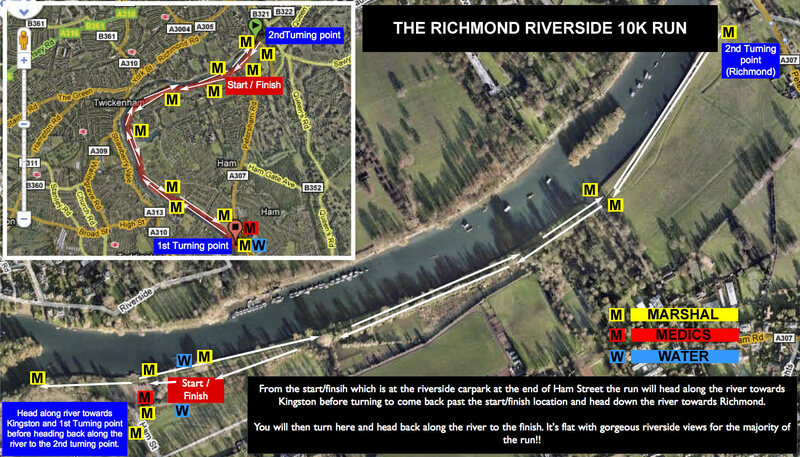 Starting at the Riverside carpark off Ham Street (see course map) you will run along the riverside towards Kingston, then head back almost as far as Richmond before following the towpath back to Ham House to finish by the Riverside. So get all your friends together and come and join us. Make sure you sign up early to secure your entry as this run sells out quickly. 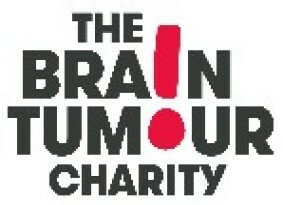 We are very pleased to be supporting the Brain Tumour Charity at our Riverside Runs during 2019. The Brain Tumour Charity is at the forefront of the fight to defeat Brain Tumours. 102,000 people are currently living with a brain tumour and the impact can be devastating. Research into brain tumours is woefully underfunded. Survival rates are just 14% and treatments haven't changed in 40 years. We know progress isn't happening fast enough. We need to do more, if we're going to find a cure. And we need to do it now. That's why at The Brain Tumour Charity we're investing in more forward-thinking research, more specialist support services, and passionately lobbying for more urgent change. Brain tumours strike fast. But we believe that with your support, we can be the generation that stops them – right in their tracks. Please note, fundraising is completely optional and there's no requirement to do so, however if you decide to support the Brain Tumour Charity and join #TheBrainyBunch! there is no minimum fundraising target, just raise what you can and help us accelerate towards a cure! In return you’ll receive your very own charity running vest, to help you look the part on the day, and a fundraising pack full of materials and fantastic hints and tips to kickstart your fundraising and make your place in the Riverside 10K Run really count! Our Richmond Autumn Riverside 10k run will start at 9.30am. Registration will be open from 8.00am and will close at 9.20am so please arrive nice and early. PLEASE NOTE you will collect your race pack at registration on the day of the event. Race information will be sent by email pre-event and all your race details can be found within your online profile. Once registered login to check race updates, news, partner offers and more. When you register on the day of the event you will receive a RACE CHIP. This will correspond with your race number. This is essential to record your time. Please make sure you put this around your ankle and make sure it is on before the start of the event and hand back to our team once you cross the finish line. Bag storage is available at the event however space is limited so travel as lightly as possible. Toilets will be within the event hub and ensure you go with plenty of time to spare to avoid long queues. Coffee and snacks will be available for sale within the event hub. The run will kick off at 9.30am and will take you up towards Richmond where you will turn and head back down the river towards Kingston before heading back to the finish! There is carparking at the Start/Finish point on Ham Street however this is limited so either arrive early or if possible leave the car at home!! Richmond mainline station is about 30 minutes walk. The course is along the riverside and its pretty much flat the whole way! Remember its all good fun and you can walk, jog or run!! Please note that the start of the run will be staggered to avoid too much congestion on the towpaths. However this will not affect your time as our Results Base timing team will record your time from when you cross the starting mat. Please take care when running around the course as this is public land and local residents will be out and about. Please always stay on the left unless otherwise guided. Water stations can be found at 4km and 7km. If wearing headphones please make sure you can hear other people around you and marshal instructions. Everyone will receive a medal and there are also a few trophies that are up for grabs. Results will be displayed on our Results Base Timing screen so after crossing the finish line you can check out your instant results. These go live to our website and you will receive an email update once the race is over. Drinks and sweets will be available at the finish line along with any other goodies from our event partners. Ride Skincare will be with us and you can purchase their products on the day. If driving the event is set at the end of Ham Street by the riverside. The postcode is TW10 7RS. Please note parking is very limited by the riverside however there is parking all the way up Ham Street. It's important that you check parking signs to ensure you do not park in a residential parking space. If travelling by train Richmond Station is the closest and it's then about a 20-30 minute walk down the riverside to Ham House. Can I get a refund if I can't take part? The Fix Events refund policy is: You can cancel up to 14 days before the event and receive a 60% refund (excluding online admin fee). Or, you can choose to transfer your registration to another Fix Event (£5 transfer fee applies). To do so you must email info@thefixevents.com. Unfortunately, after that, we cannot give refunds or transfer your entry to anyone else. What do I get for taking part? Full race chip timing with instant results at the event, a cool medal, drinks, snacks, trophies for winners and an all round highly professional and fun event to be part of. We typically allow children to take part in all our events (unless specific information is given for a set event) Please note that children remain the responsibility of their parents/guardian throughout our events. If the parent/guardian is satisfied the child/children can confidently run unaccompanied they may do so, with a parent/guardian remaining onsite at all times. The Brain Tumour Charity is at the forefront of the fight to defeat brain tumours. 102,000 people are living with a brain tumour, yet research is woefully underfunded and treatments haven’t changed in 40 years. We know progress isn't happening fast enough. We need to do more, if we're going to find a cure. That's why at The Brain Tumour Charity we're investing in forward-thinking research, specialist support services, and passionately lobbying for change. We believe that with your support, we can be the generation that stops them – right in their tracks. Donate today and help us accelerate towards a cure. Entries close on the 15th October, 2019. Event prices exclude 10% booking fee. Ham Street Riverside, Richmond, TW10 7RS.